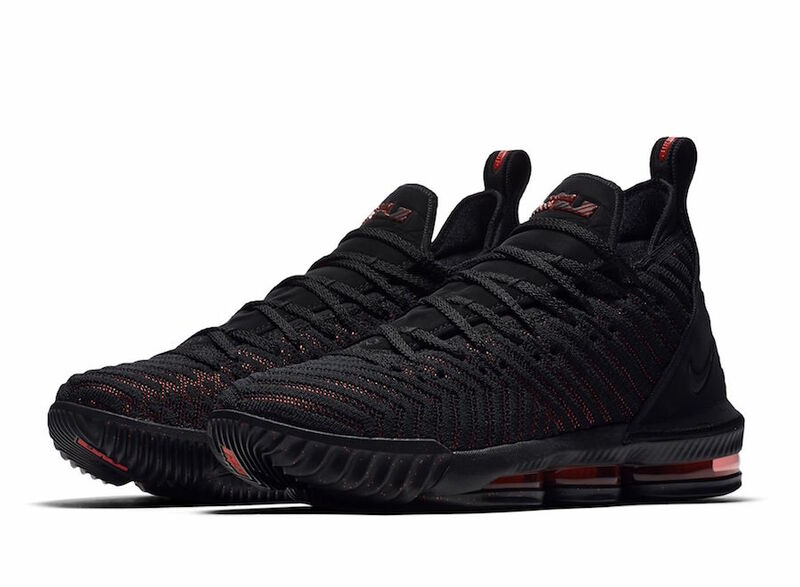 Nike Basketball has officially unveiled LeBron James’ LeBron 16, which will debut in a “Fresh Bred” colorway. For the design, King James has once again teamed up with Nike Jason Petrie. “The knit team at Nike are geniuses,” says Petrie. As the Nike LeBron 16 introduces Battleknit 2.0, an evolved version of the scalloped knit featured on the LeBron 15. Its structure increases tensile strength (important to contain James’s lateral force on court) and it has an elegant finish matching James’s current style. Other notable features on the LeBron 16 is its height. At the direction of James, Petrie formed the shoe with a lower collar, which allows the athlete to move more freely. Look for the Nike LeBron 16 “Fresh Bred” to release on Thursday, September 20th at select Nike Basketball retailers and Nike.com. The retail price tag is set at $185 USD. UPDATE: Nike releases official photos of the “Fresh Bred” LeBron 16. One interesting detail to the shoe is its Red eyes on its heel lion emblems, which is inspired by the iconic stare down by King James vs. Boston.